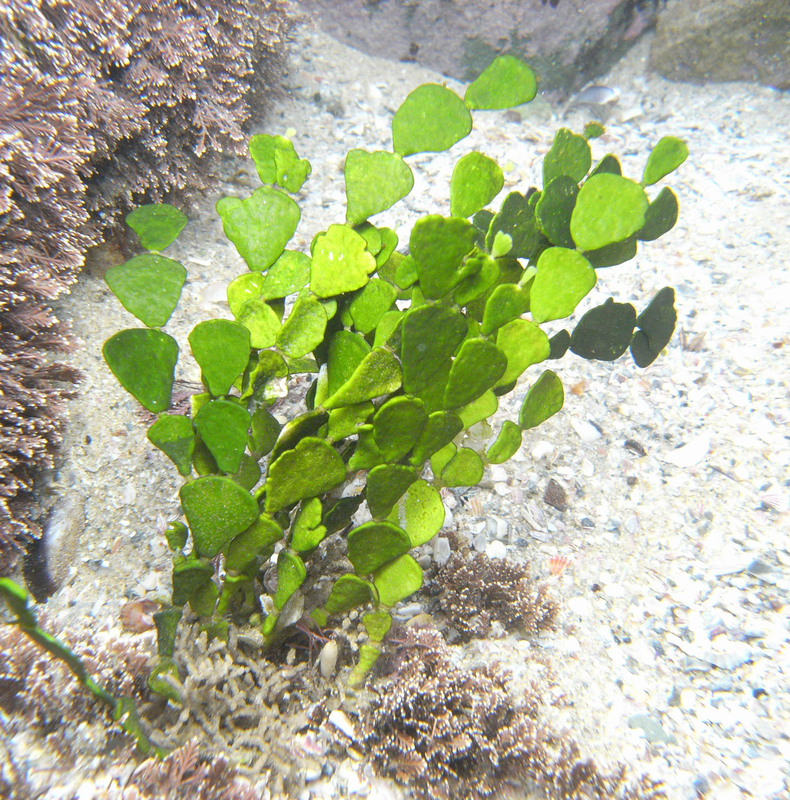 Plants light to dark green, erect, up to 20 cm long, composed of flat calcified segments arising from a dense rhizoidal holdfast mass. Segments up to about 10 mm wide and 15 mm long, usually smaller especially distally: cuneate or sometimes obovate, segments in a single plane, thalli branched up to 4 times. In H. cuneata segments are usually separated by a short “stalk zone” which may be calcified into a small, distinct collar; daughter segments may arise anywhere along the distal edge of mother segments. Rims of older distal segments may be grooved. From Tsitsikamma eastward to northern Kwazulu-Natal (34-58). Found in the sublittoral fringe and sublittoral zone. Type locality: Natal Bay, South Africa (Silva et al. 1996). World distribution: along the coast of east Africa to Somalia and fairly widespread in the world’s tropical and warm temperate oceans (Guiry in Guiry & Guiry 2014). M.D. Guiry in Guiry, M.D. & Guiry, G.M. 2014. AlgaeBase. World-wide electronic publication, National University of Ireland, Galway. 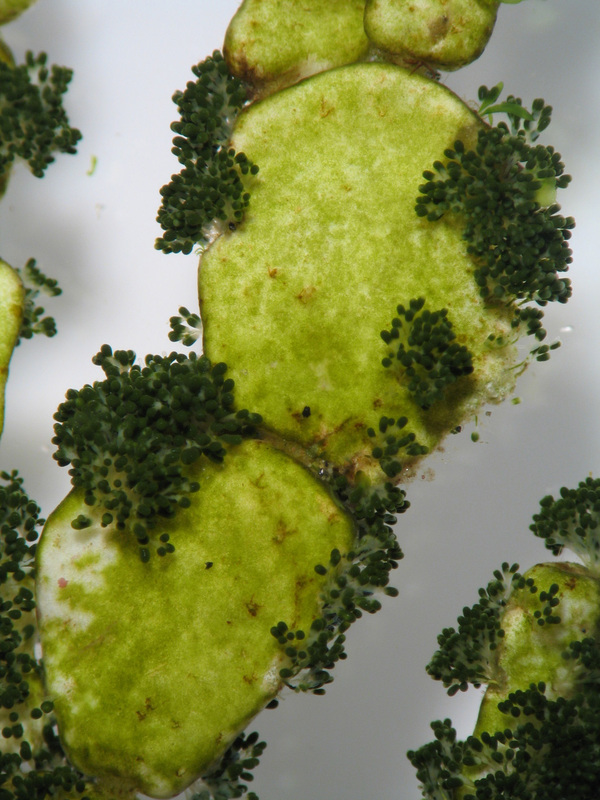 http://www.algaebase.org; searched on 04 July 2014. Krauss, F. [Krauss, C.F.F. von] (1846). Pflanzen des Cap- und Natal-Landes, gesammelt und zusammengestellt von Dr. Ferdinand Krauss. (Schluss.). Flora 29(14): 209-215.